Philadelphia Eagles cornerback Malcolm Jenkins has no doubt Sam Bradford can lead the team to a Super Bowl, even as the team they both play for appear uninterested in using the franchising tag on the former Ram. 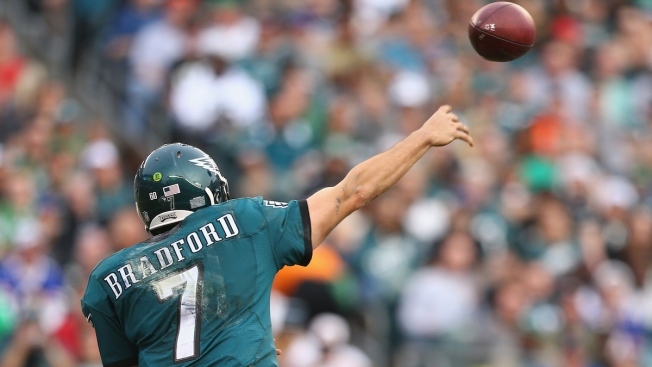 According to Jenkins, where he was a touch uncomfortable at first, Bradford became a bonafide vocal leader as the year wore on in Philly, and his teammates responded. “When he did that, he gained the trust of the teammates and he started playing better,” Jenkins said. “The back half of the season, he played really well for us.